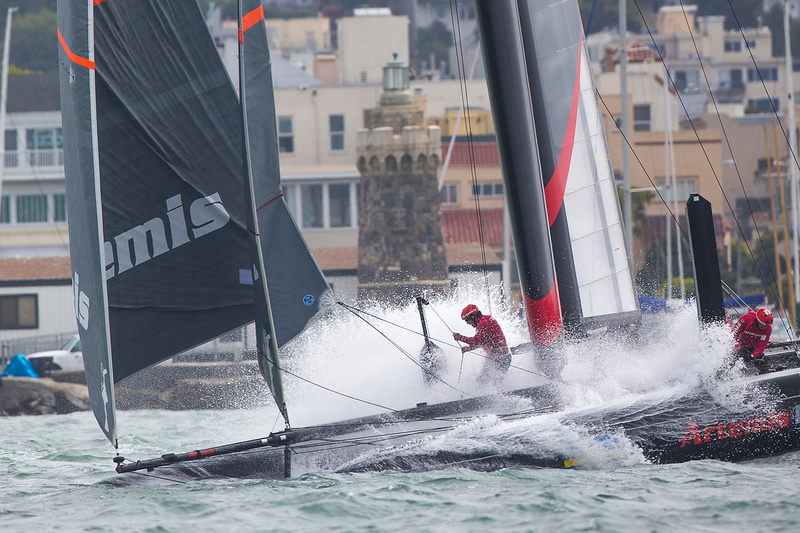 Racing begins today at the America’s Cup World Series in San Francisco, with the Match Racing Qualifiers. 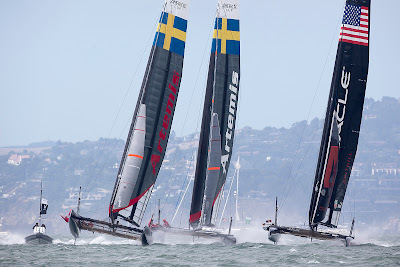 Having won last season’s Match Racing Championships, Terry Hutchinson and the crew onboard Artemis Racing - White are the top seed so won’t race today, while Artemis Racing – Red, with Santiago Lange (ARG) at the helm, will line up against Luna Rossa – Piranha for the best two out of three races. Artemis Racing – Red and Ben Ainslie’s BAR JP Morgan are the two newcomers to the fleet of 11 AC45s competing on the Bay this week. Racing begins at 1405 PST today and continues tomorrow with the Match Racing Quarter Finals.